Wuxi Rapid Scaffolding attended 120th Canton Fair from Oct. 15th to 19th. Rapid display the main products: Ringlock, Cuplock, Kwickstage, Frame scaffolding, Aluminum Scaffolding and Shoring Props, which attracted many purchasers from different countries. 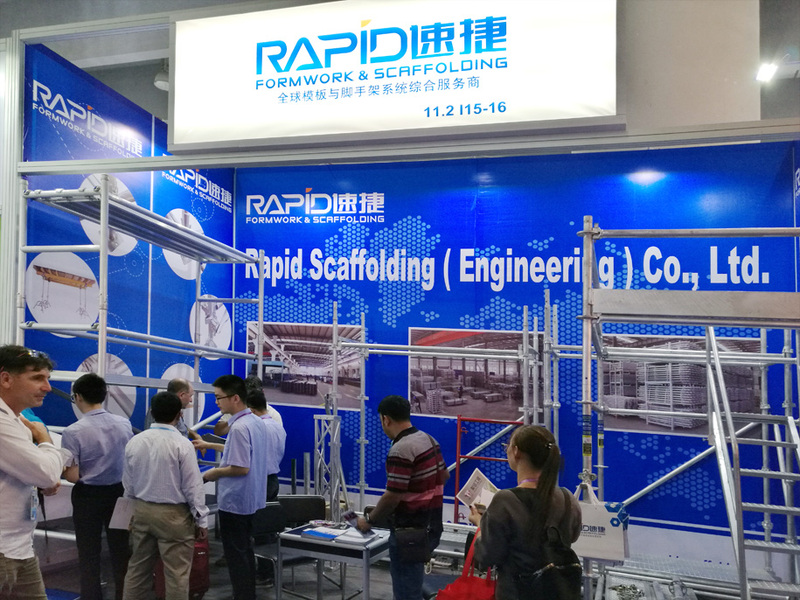 During the five days, more than 1000 purchasers came to visit our booth, they gave Rapid Scaffolding highly praise.